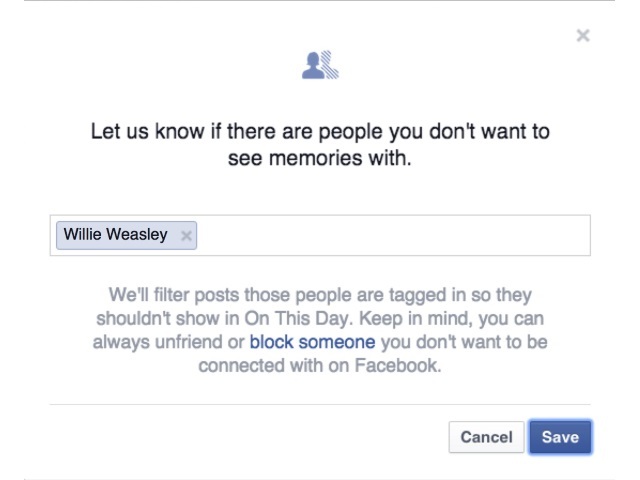 Facebook took steps to ensure that users of its On This Day feature see only the kinds of memories they want to see. The social network Tuesday launched two filters for On This Day that enable users to block out specific users, dates or date ranges, preventing related content from showing up in their On This Day feeds. We know that people share a range of meaningful moments on Facebook—from celebrating good times like a birthday to getting support in tough times like the passing of a friend or relative. As a result, everyone has various kinds of memories that can be surfaced—good, bad and everything in between. So for the millions of people who use On This Day, we’ve added these filters to give them more control over the memories they see. Readers: What do you think of the enhancements to On This Day?